I've never had the privilege of playing there but I know from various people I've golfed with Hylands is a fun track to play. They're looking for new members so check out the options and maybe think about joining. 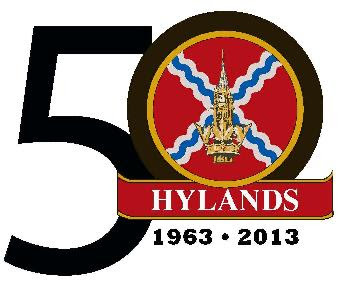 Hylands Golf Club will welcome new members for the 2013 golf season. Our objective, which is to continue with both golf course and facility improvements and avoid increases to membership prices, is dependent upon our ability to attract a full adult membership of 1400 people. Presently, we are short of our ideal complement. We are appealing to all members to help us get the word out that Hylands is looking for new members in all categories. If you know of people who might be interested in joining us, now would be an excellent time for them to come on board. Our buildings are being renovated and, with the help of two course consultant companies, we are very optimistic that we can improve the quality of the courses. Costs of joining are very competitive with other courses of comparable playing quality for all member categories. You know about and can promote the club facilities, activities, teaching capabilities and competitions. For any ex-military person, if they have applied for membership within 3 years of resignation from the Military, the new member entry fee will be waived. If outside that time, this fee has been reduced to a paltry $500. Please note that a pension is no longer required for eligibility to the ex-Military category. Active RCMP and retired DND Civilians have been moved to the lower cost Ordinary from the Associates category. Anyone is eligible for membership in the Associates category as long as they have two current members in good standing who will sponsor them. Remember, new member entry fee waived within three years of release from the CF. If you have friends who might be interested, please talk to them and invite them to seek out information. Tell them why Hylands is an excellent place for recreational or competitive golf for individuals or for the whole family. No time wast from this day. Tomorrow i will admit in this Golf club. Thanks for the most important information. i must check your club..thanks for sharing..